Christmas Diamond, a special Christmas Novella inspired by the Jewel Series and introducing the Virtues and Valor series, is FREE for you to enjoy! Faith Green spends her career as a pilot honoring her grandmother’s heroic efforts during World War II. When she’s invited to participate in a Christmas time air show in the Florida Keys, she thinks it will be exciting to fly somewhere warm and sunny instead of her cold and wintery London home. But on her first day, she encounters a lifeless body washed up onto the beach. TJ Viscolli is the eldest child and only son of a wealthy and powerful corporate mogul but instead of modern business his interests lie in history. Months away from a Ph.D., he has an accident windsurfing at his Key West home. When he is resuscitated by a beautiful women, at first he thinks that a Christmas angel has come to save him. The couple share the common bond of a love of history and romance blossoms. But an accident during the Christmas Eve air show threatens their hope of a life spent together. Will God provide a Christmas miracle, or will the future look cold and dark like a winter night? Find the ebook free at any of the following locations! I hope that you enjoy the story and that it blesses you in some way. As always, I would LOVE to hear from you after you read it. This entry was posted in 5. Christmas Diamond, Blog, Novels and tagged christmas book, christmas diamond, free christmas read, jewel series, virtues and valor series. Bookmark the permalink. 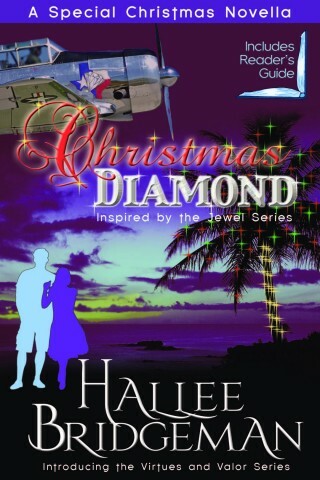 Just finished reading Christmas Diamond. As always I loved it. Thanks so much! I have enjoyed everyone of your books and thank you for the new Christmas Book , Christmas Diamond I would to read what happen to Faith and TJ and also finish what happen in TemperanceTrial thank you. God Bless!